I hope everyone had a great weekend! I’m spent the weekend wedding celebrating for my big sister’s BIG day and this is what I wore to the bachelorette party. The outfit is under $60 at Century 21 stores. 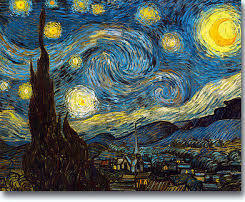 I fell in love with these pants because they seem to be inspired by Vincent van Gogh’s “Starry Night” painting! LOVE! LOVE! Super cute! The pants are EVERYTHING! Congrats to your sister! Love this look, those pants are amazing. Also, cute ponytail, very befitting for this look. Saw your picture on Facebook. Following you now. those pants are to die for! love your poses! ← Mz. Bunny~ Happy Easter!